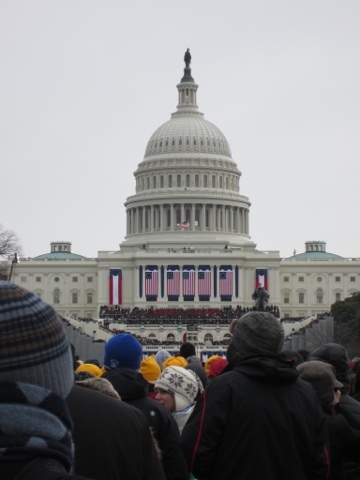 How can we design practical, effective, and fair institutions for making the basic decisions that are needed within a democratic government? This is, of course, one of the oldest questions in democratic theory; but it is also a recent concern of Jon Elster's. Under this rubric we can investigate, for example, the ways a legislature sets its agenda and votes or the ways constitutional principles function to secure citizens' rights. Fundamentally we want to create institutions that reach good outcomes through a set of decision-making processes that minimize the workings of bias, self serving, and special interests. Elster takes up these sorts of considerations in Securities Against Misrule: Juries, Assemblies, Elections. Here Elster concentrates on themes expressed by Jeremy Bentham, a philosopher whom Elster regards as being badly underrated. One part of Elster's goal here is to recapture some of these overlooked insights. But he also wants to contribute to the substantive issue: what features of institutional design increase the likelihood of political outcomes that largely conform to the best interests of society (whatever those are)? Elster’s treatment of Bentham is focused on a small number of theoretical issues in public decision theory. Bentham’s core goal was to work out some features of institutional design that would make corruption and misuse of power least likely in an electoral democracy. “In Bentham’s view, the object of institutional design is security against misrule, or the prevention of mischief—the removal of obstacles that will thwart the realization of the greatest good for the greatest number” (1). Elster endeavors to explicate Bentham’s ideas on this topic; but he is also interested in forwarding the argument in his own terms. “My purpose is to consider procedural accounts of good institutional design” (5). And further: "I shall be concerned with removing -- or blocking the effect of -- known obstacles to good decision making" (17). So we can look at this book as being both a contribution to the history of thought and a substantive, rigorous contribution to contemporary debates about institutional design. The obstacles that interfere with "good decision making" in the area of public choice are numerous: bad sheep in the process (domineering individuals or spoilers; 18); the effects of strategic behavior by participants; cyclical voting outcomes (Arrow paradox); dictatorship (institutional arrangements that permit one actor to determine the outcome); sensitivity of the collective outcome to the order of the agenda; procedural indeterminacy; power differentials; capture of the process by special interests; deadlock through requirements of super majorities; and information asymmetries among participants. One family of mechanisms that Elster considers in some detail involve ignorance, secrecy, and publicity (chapter 2). Consider an example. Suppose a hospital aims to increase patient health and reduce costs by pre-selecting preferred medications for a small group of diagnoses. And suppose it assigns this task to a formal committee of physicians and other health professionals. The rules that define membership, deliberation, and decision-making of this committee need to be established. The desiderata for the functioning of the committee are clear. We want members to deliberate impersonally and neutrally, and to favor or disfavor candidate medications based on efficacy and cost. It will help to prevent bias if we block committee members from having knowledge of how the choice of X or Y will influence their own incomes. And publicity about the questions being referred to the committee and the resolutions those questions have received can also induce more neutral behavior by committee members to decide the issue on the basis of objective costs and benefits (rather than private self-interest). This is the purpose of "sunshine laws" about public deliberations and contracts. The fundamental point that Elster takes from Bentham is that institutions should not be considered in terms of their ideal functioning, but in terms of how they will function when populated by ordinary people subject to a range of bad motivations (self-interest, prejudice, bias in favor of certain groups, ...). This is the point of "security against misrule" -- to find mechanisms that obviate the workings of venality, bias, and self-interest on the part of the participants. In a sense, this is a return to problems of imperfect rationality that interested Elster early in his career; but this time these problems are raised in the context of collective rationality. So the core questions that arise here are these: Are there workable alternatives concerning the coordination of work and the management of property that work better than laissez-faire capitalism and wage labor? And what does "better" mean in this context? A partial answer to the "better" question might go along these lines: we want workable institutions that better embody equality and self-control than an unregulated market. "Workable" means "reasonably efficient and productive", and self-control means something like "shop floor self-determination." These desiderata need to be spelled out more fully. Static and dynamic efficiency as well as stability have to do with the economic performance of a set of institutional arrangements when populated by normal human beings. Are resources allocated across productive activities in an efficient way? Is labor productivity high? Do the institutions encourage high-quality production? Self-realization, participation, economic freedom, and community are all normative goals we may have for basic social institutions. Do the institutions provide ordinary human beings the opportunities they need to fulfill their human talents and aspirations? Do the institutions provide opportunities for all participants to take part in the decision-making processes of the institution? Do these institutions afford individuals a broad range of choice in terms of how they conduct their lives? Do the specific arrangements of the institutions promote trust, solidarity, and mutual respect among the persons involved in them? Quality of preferences has to do with the effects these institutions have on the formation of the goals and desires of the individuals involved. Do the institutions help to cultivate an appetite for what J. S. Mill described as the higher pleasures -- a preference for Pushkin over push-pin? And income distribution is a feature that has both normative and empirical characteristics; highly unequal distributions may undermine stability, and they may also undermine self-realization and participation. Elster and Moene suggest that these variations of internal design and external business and technical environment make a large difference to the effectiveness of cooperative firms. Elster and Moene argue that the workers' cooperative alternative needs to be carefully evaluated with respect to the desiderata mentioned here. They argue that this evaluation needs to be comparative, and it needs to proceed along two tracks -- observation of the actual experience of such institutions, and application of economic theory to the fundamentals of the institutional arrangement. The economic theory of cooperatives is weak, in their assessment, but there is a fair amount of empirical data about how they work. And the empirical data is favorable to cooperatives. "The empirical literature suggests, but far from unambiguously, that cooperation and participation increase productivity" (29). They cite studies documenting lower turnover of the labor force, lower rates of absenteeism, and no strikes (29). Also worth highlighting is Elster's own contribution to the volume, "Self-realisation in work and politics: the Marxist conception of the good life" (127 ff.). Here Elster takes issue with several foundational premises of the pro-capitalist argument as a normative position: "(a) The best life for the individual is one of consumption ... (b) Consumption is to be valued because it promotes happiness or welfare, which is the ultimate good" (127). Against these comsumerist ideals, Elster argues for the importance of self-realization -- the full and free development of one's talents and aspirations, to a reasonable extent. He contrasts self-realizing activities (mastering the piano) with activities of pure consumption (eating a tuna sandwich at your desk) and drudgery (sweeping the streets for forty years). This is plainly a normative position: a life involving self-realization is better than a life of consumption and drudgery. And it has a long pedigree, from J. S. Mill and J. J. Rousseau to Kant to Sen and Nussbaum. What Elster adds to the tradition is important, though: the idea that our ideal of personal fulfillment and a good human life is in fact a key element of the matrix by which we should evaluate alternative institutions. Professor Young's research falls within "cultural sociology," and is an effort to gain more nuanced understandings of the mentalities and thinking of one segment of America's racialized society. 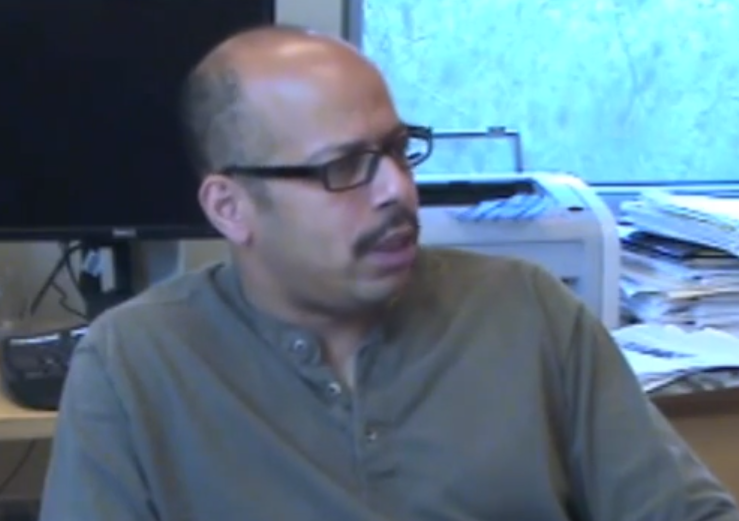 Young is unambiguous in endorsing the value of qualitative methods in sociology, although he observes late in the interview that his conversations with young black men are always set in the context of a set of structures of race, economy, and opportunity that need to be investigated through other methods as well. 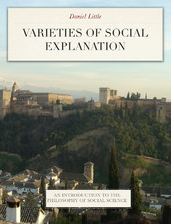 Young has some boundary-breaking ideas about how urban sociology can be pursued, and his research is an important contribution to contemporary sociology. Here is an earlier post on Young's work; link. Another important thread in the conversation has to do with Young's own childhood and adolescence in Harlem, and the ways in which his family's status in the world of African-Americans professionals in New York intersected with his residential experience in one of the most segregated and impoverished parts of the city. This duality of experience gave Young a cultural fluency that allow him to navigate both worlds as a social science researcher. Young's work focuses on the experience of young African-American men in segregated American cities. But the insights and approach are equally relevant to a very wide range of subjects, both domestically and internationally. How do Chinese migrant workers perceive the choices open to them and the working conditions they find in Chinese cities? What is the worldview of young immigrant men and women in Stockholm, and how does that fit into the outbreak of extended rioting there in the past month? How do homeless people in Boston or Chicago think about their situations and the choices available to them? Everywhere there are distinctive human communities and bodies of experience that are worth knowing more about, and almost always the preliminary stereotypes we have about those communities are wrong or seriously incomplete. So the kind of qualitative cultural sociology to which Al Young has contributed is an important addition to sociology that can be extended in many different ways. Nancy Cartwright has spent much of her career probing the assumptions scientists make about causation. She has helped to demonstrate that the Humean assumptions about causation that philosophers (including Carl Hempel) carried into twentieth century philosophy of science don't come close to answering the question correctly, and she has provided many reasons to take seriously the ideas of causal powers and mechanisms rather than governing causal regularities. How the Laws of Physics Lie is an important contribution to the philosophy of science and to realist theory. Her current book Evidence-Based Policy: A Practical Guide to Doing It Better (with Jeremy Hardie) provides a different critical perspective on causal inference, this time in the context of social policy reasoning. The design and implementation of public policies rest upon a fundamental premise: that we can have evidence-based reasons for predicting what the effects of the policy tool will likely be. But what kind of evidence might that be? The dominant form of evidence favored in the policy science field is random controlled trials: specify the policy intervention P, choose a domain of cases to apply the intervention P to, randomly select cases to receive the intervention (versus the control group that does not), and measure the value of the outcome of interest. If there is a significant difference in the value of the outcome between test group and control group, then we have evidence that P had an effect. In a nutshell, C&H take issue with the conviction that random controlled trials (RCT) -- the gold standard of causal inference and experiment in clinical medicine -- provide a basis for expecting that a given policy intervention will have similar effects in the future. Their book can be read as a critique of an excessively statistical understanding of social causality, without realistic analysis of the underlying mechanisms and processes. As Cartwright and Hardie state repeatedly, RCT evidence shows only that the policy worked on the circumstances tested in the study. Instead, they argue that we need to offer evidence about two additional considerations: whether the "causal principle" associated with P will remain the same in new circumstances; and whether the associated conditions necessary for the operation of this principle will be present in the new circumstances. Cartwright and Hardie look at causation along the lines of J. L. Mackie's analysis of INUS conditions in The Cement of the Universe: a factor is a cause if it is an "Insufficient but Necessary part of an Unnecessary but Sufficient condition for producing a contribution to the effect" (23). The evidence of favorable CRT studies for a given policy intervention doesn't show that this policy will work in the new circumstances of the new proposed application. In order to draw this inference we need to have confidence that the treatment will play the same causal role in the new setting, and that the necessary conditions will be present in that setting. In other words, we need a more detailed causal analysis of the past and the proposed future. x works there (i.e., x genuinely appears in the causal principle that governs the production of y there post-implementation). Here and there share that causal principle post-implementation. The support factors necessary for x to contribute under that principle are present for at least some individuals here post-implementation. Cartwright doesn't put her case in these terms, but I would say that the heart of her intuition is that social outcomes are different from medical outcomes because of their inherent causal heterogeneity. In the social world outcomes like teen pregnancy rates or high school dropout rates are the result of a bundle of conjunctural causal processes. So projecting the results of past random controlled trials into the future requires that we first confirm that the same causal influences and important background conditions are at work. And this is rarely the case. So the fundamental underlying prescription is a pragmatic causal realism about social processes: in order to design and implement policies, we need to have a well developed map of the real causal processes and mechanisms that are underway in the production of the effect we would like to change. In other words, we need to be causal realists if we are to be effective policy makers. 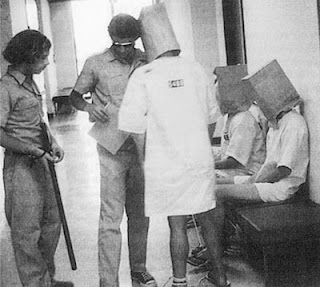 So a good example of a paradigm in science is something like the Millikan oil drop experiment; it constituted a clear and admirable example of experimental design and implementation which helped to guide later experimentalists in the design of their own experiments. Hacking gently suggests that Kuhn under-values "normal science," because he shares a bias towards theory with many other philosophers of science of the preceding generation. But Hacking argues that later philosophers and historians of science, such as Peter Galison, have given more weight to the innovations associated with experimentation and instrumentation (kl 199), and the process of normal science is precisely the context in which innovations in these aspects of science are most likely to occur. Hacking makes an interesting point about the scientific context in which Kuhn's ideas took shape. Physics, both classical and modern, set the standard for what was most exciting within the scientific enterprise in the 1950s and 1960s. But Hacking asks an interesting question: what if the examples of biology and the life sciences had been the backdrop against which Kuhn had formulated his theories? 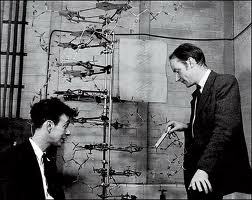 Molecular biology and the chemistry of DNA constituted a revolution in biology at roughly the time of the original publication of SSR. How valid are Kuhn's observations about scientific research and progress against that backdrop? Would the results have perhaps been quite different if he had concentrated on these examples? Hacking thoroughly rejects the most subjectivist aspects of many readings of Kuhn: the idea that scientists inhabiting different paradigms also literally inhabit different worlds. Hacking doesn't believe that Kuhn actually believes this, or even unambiguously asserts it. These passages make it clear that Kuhn does in fact think that a scientific community possesses a set of unifying but contestable beliefs -- what many of us now mean by a paradigm. And this seems more pervasive and comprehensive than Hacking's analysis would seem to allow. I also understood Kuhn to hold that standards of scientific reasoning were likewise dependent on the mental frameworks of the research communities -- with the result that some disagreements among physicists or biologists could not be resolved on the basis of standards of scientific reasoning or method. There was no "paradigm-independent" scientific method, no community-neutral standard of rational preferability. It may be that Hacking is right, and that Kuhn never intended to support these radical claims about the limits of scientific rationality. But whether he did or not, the position is an intelligible one, and thinkers as diverse as Althusser and Feyerabend have advocated it. Frederick Jameson's title, The Prison-House of Language: A Critical Account of Structuralism and Russian Formalism, picturesquely captures the core idea. Structure of Scientific Revolutions richly rewards a rereading fifty years after its original publication. And as is true of so many deeply original works, we are likely to find different things most striking today than we did on first reading decades ago. In 1978 China's government initiated a major change in the agricultural economy. It began a rapid transition from communal agriculture to the household responsibility system, which returned the responsibilities and incentives associated with farming to the farmer rather than the commune. This was the beginning of the market-friendly reforms that led to the transformation of agriculture, industry, and transport in a remarkably short time. Much has transpired in the Chinese countryside since 1978. 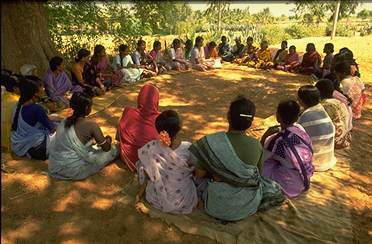 Rural incomes have risen; significant numbers of rural people have transitioned from farming into better-paying market and logistical activities; and many millions of young people have exited the countryside in search of work in manufacturing and construction. 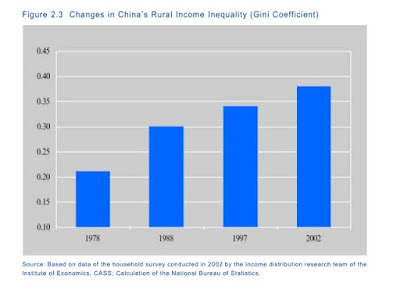 On balance, how has this tumultuous 35 years affected the quality of life for China's rural population? 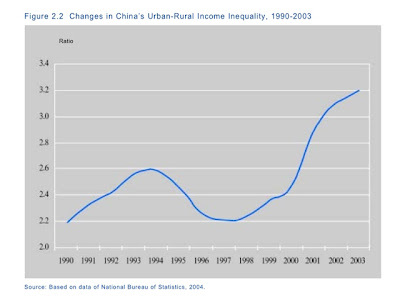 In 1990 William Hinton offered his own predictions about the effects of the rural reforms in The Great Reversal: The Privatization of China, 1978-1989. Hinton believed the future was dire for China's peasants, as they would be squeezed by market forces into even lower-productivity farming techniques and the wealth of the countryside would be extracted by urban elites. Hinton was a continuing supporter of collective agriculture because he believed it permitted economies of scale and more reliable support for the welfare of the people in the countryside. It seems that no one in China continues to advocate this view. Deng Xiaoping took a different perspective. 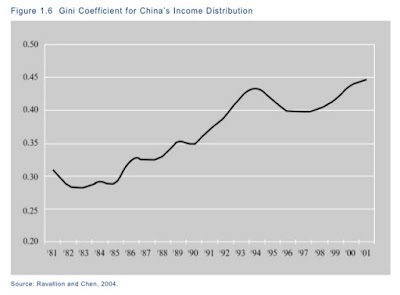 He believed that all of China would benefit from the accumulation of wealth created by market incentives. His famous words -- "To get rich is glorious" -- legitimated the workings of the market in creating inequalities. And he evidently believed that these processes of economic growth and market incentives would be good for the rural sector as well as the urban sector. So how has it worked out? How has China's agricultural economy performed in the past three decades? Is China food-self-sufficient? 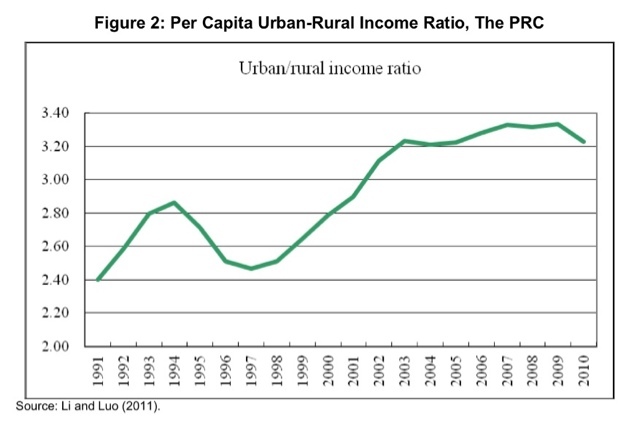 Have rural people gained income? 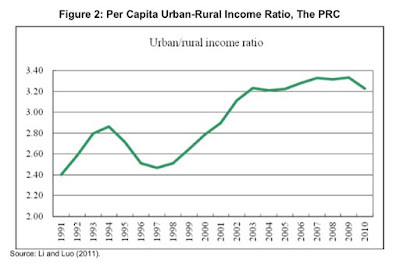 Is rural poverty falling significantly? 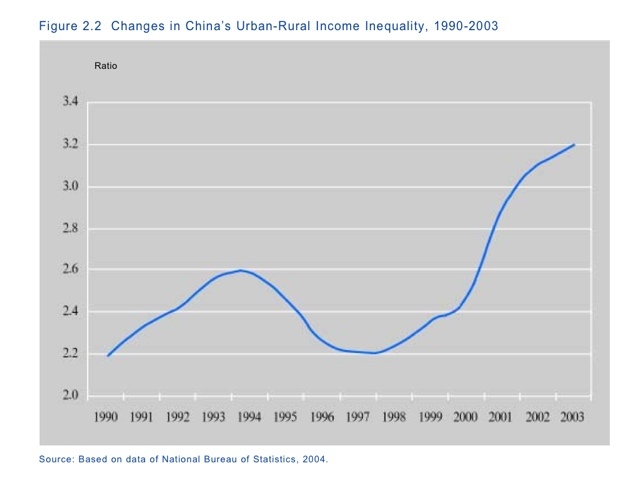 What is the trend in the quality of life of China's rural populations? 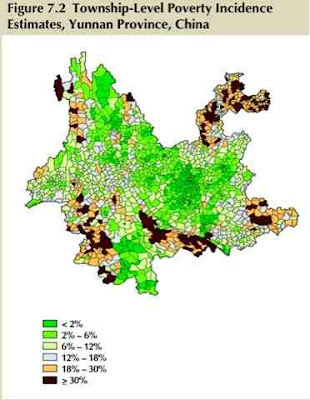 And what happened to the range of income inequalities in the countryside? 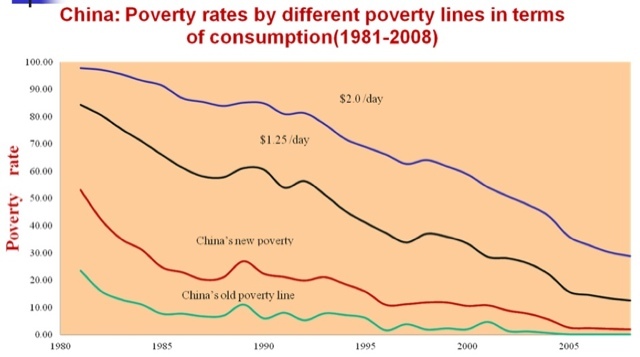 First, it appears to be true that China has made rapid progress in reducing poverty in its population. 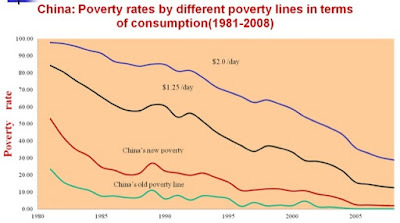 According to Li Xiaoyun's tables below, just under 13% of China's population lives in extreme poverty at incomes lower than $1.25 per day in 2011. 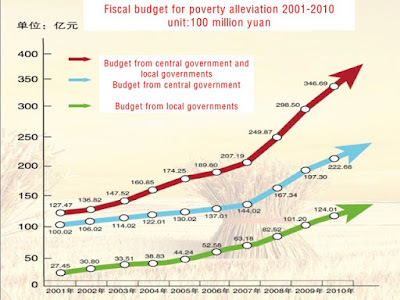 (The next three slides are taken from an extensive presentation on China's poverty strategies by Professor Li Xiaoyun, China Agricultural University; link.) This is a dramatic reduction from an estimate in excess of 80% at this level in the late 1970s. 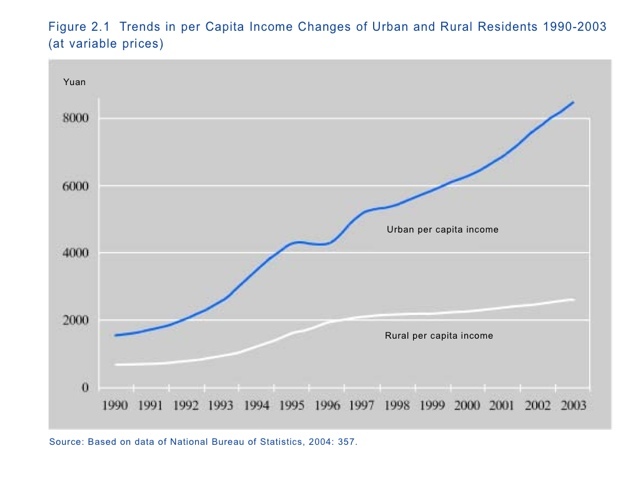 This means that rural incomes have risen substantially since 1978. What has been less visible to the western public is the dynamics of life quality that these changes have created in the countryside. What is needed is disaggregated studies of quality-of-life indicators like education, health, nutrition, and longevity. 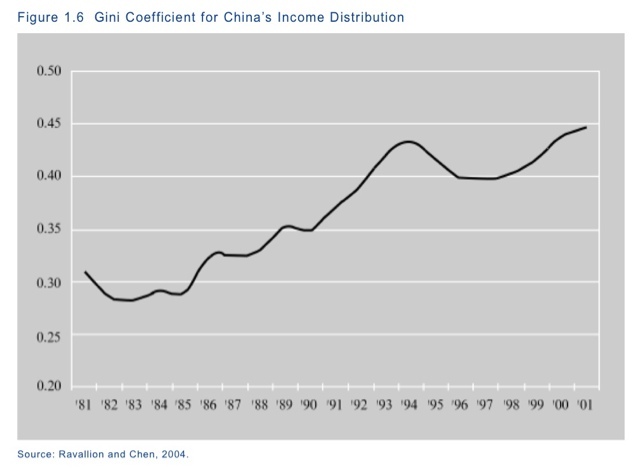 World Bank reports and China's own major statistical reports do not highlight these kinds of data. 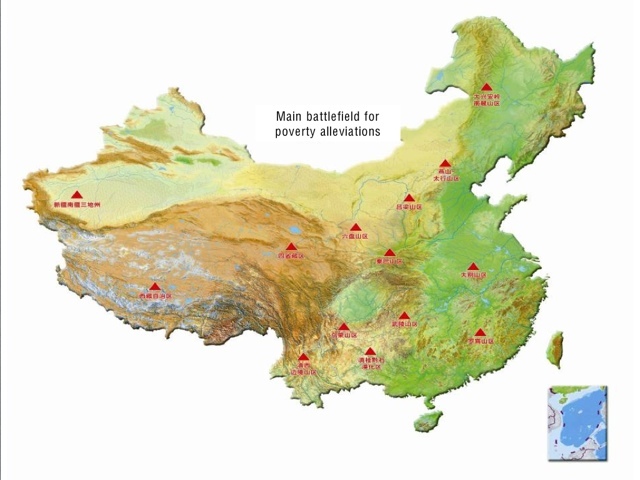 However, the UNDP has prepared six triennial reports on China's performance with respect to the Human Development Index (link), and it turns out that Chinese researchers are in fact doing careful work on the task of measuring these characteristics in rural areas. Three leading Chinese scholars focused on poverty alleviation (Wu Guobao, Chinese Academy of Social Sciences; Liu Minquan, Peking Univerisity; Li Xiaoyun, China Agricultural University) provide a good snapshot into a world of policy research currently underway in China. 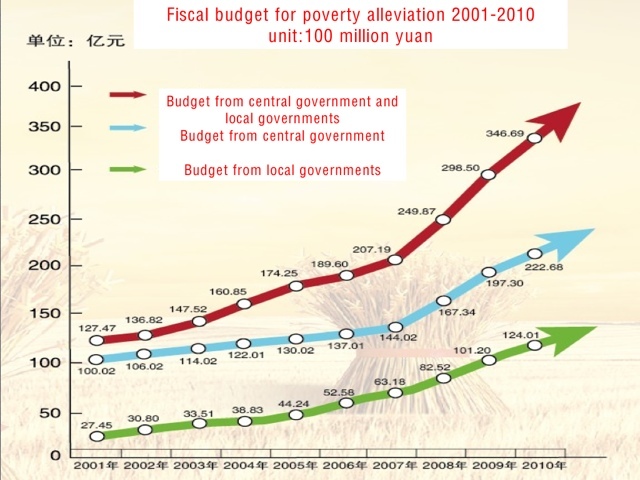 How are the government's pronouncements about poverty alleviation viewed by the Chinese public? I had a very interesting conversation with a man in his thirties in Taiyuan, Shanxi on this question. He is employed in a semi-professional job. His view was very skeptical. He believes the government says it is working toward helping the poor and reducing inequalities, but he doesn't think these efforts are very broad. His view is that anti-poverty programs are directed towards just a few locations and a relatively small part of the rural population. And he thinks it is very unfair that the inequalities between rich and poor are increasing so rapidly. When I asked him what he thought the greatest problems were that China faces, he listed these: a one-party state that gives ordinary people no voice in the issues they care about; a lack of freedom of expression; and the unfairness of increasing inequalities between rich and poor. This was a very frank assessment by one person which perhaps sheds some light on how many young people are thinking in China today. I'm finding myself increasingly distressed at this week's revelations about government surveillance of citizens' communications and Internet activity. First was the revelation in the Guardian of a wholesale FISA court order to Verizon to provide all customer "meta-data" for a three-month period -- and the clarification that this order is simply a renewal of orders that have been in place since 2007. (One would certainly assume that there are similar orders for other communications providers.) And commentators are now spelling out how comprehensive this data is about each of us -- who we call, who those people call, when, where, … This comprehensive data collection permits the mother of all social network analysis projects -- to reconstruct the widening circles of persons with whom person X is associated. This is its value from an intelligence point of view; but it is also a dark, brooding risk to the constitutional rights and liberties of all of us. Second is the even more shocking disclosure -- also in the Guardian -- of an NSA program called PRISM that claims (based on the secret powerpoint training document published by the Guardian) to have reached agreements with the major Internet companies to permit direct government access to their servers, without the intermediary of warrants and requests for specific information. (The companies have denied knowledge of such a program; but it's hard to see how the Guardian document could be a simple fake.) 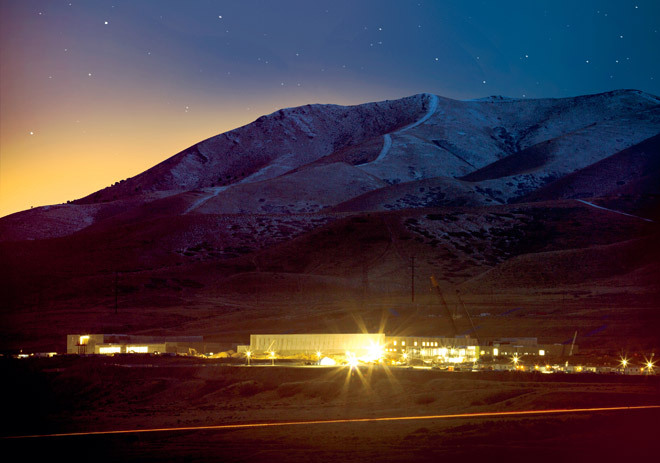 And the document claims that the program gives the intelligence agencies direct access to users' emails, videos, chats, search histories, and other forms of Internet activity. Among the political rights that we hold most basic are the rights of political expression and association. It doesn't matter much if a government agency is able to work out the network graph of people with whom I am associated around the project of youth soccer in my neighborhood. But if I were an Occupy Wall Street organizer, I would be VERY concerned about the fact that government is able to work out the full graph of my associates, their associates, and times and place of communication. At the least this fact has a chilling effect on political organization and protest -- both of which are constitutionally protected rights of US citizens. At the worst it makes possible police intervention and suppression based on the "intelligence" that is gathered. And the activities of the FBI in the 1960s against legal Civil Rights organizations make it clear that agencies are fully capable of undertaking actions in excess of their legal mandate. For that matter, the rogue activities of an IRS office with respect to the tax-exempt status of conservative political organizations illustrates the same point in the same news cycle! We are assured by government spokespersons that appropriate safeguards are in place to ensure and preserve the constitutional rights of all of us. But there are two problems with those assurances, both having to do with secrecy. Citizens are not provided with any account by government about how these programs are designed to work, and what safeguards are incorporated. And citizens are prevented from knowing what the exercise and effects of these programs are -- by the prohibition against telecom providers of giving any public information about the nature of requests that are being made under these programs. So secrecy prevents the very possibility of citizen knowledge and believable judicial oversight. By design there is no transparency about these crucial new tools and data collection methods. All of this makes one think that the science and technology of encryption is politically crucial in the Internet age, for preserving some of our most basic rights of legal political activity. Being able to securely encrypt one's communications so only the intended recipients can gain access to them sounds like a crucial right of self-protection against the surveillance state. And being able to anonymize one's location and IP address -- through services like TOR router systems -- also seems like an important ability that everyone ought to consider making use of. Voice services like Skype seem to be fully compromised -- Microsoft, the owner of Skype, was the first company to accept the PRISM program, according to the secret powerpoint. But perhaps new Internet-based voice technologies using "trust no one" encryption and TOR routers will return the balance to the user. Intelligence and law enforcement agencies sometimes suggest that only people with something to hide would use an anonymizer in their interactions on the Web. But given the MASSIVE personalized data collection that government is engaged in, it would seem that every citizen has an interest in preserving his or her privacy to whatever extent possible. Privacy is an important human value in general; and it is a crucial value when it comes to the exercise of our constitutional rights of expression and association. Doris's argument is almost entirely grounded on the findings of experimental psychology drawn from a number of experiments designed to observe how people will behave when faced with a particular situation involving the wellbeing of others. Particularly well known are the Milgram experiment and the Stanford prison experiment performed by Philip Zimbardo and colleagues, which Doris discusses extensively; but there are many others with similar results that have been performed within social psychology as well. There are several things about Doris's approach that I like. His insistence that moral philosophy needs to be attentive to the findings of empirical psychological research is compelling. His care in treating the philosophical theories he challenges in thoughtful detail is appealing. What Doris doesn't provide is any kind of theory of the actor of his own. He doesn't favor the idea that actors possess character traits; but we are left in the dark about how he thinks our actions actually proceed. Is it a form of calculation? Is it the result of intuition and snap judgment (along the lines of Daniel Kahneman's arguments in Thinking, Fast and Slow)? Doris doesn't offer an alternative theory of how the actor processes a situation and arrives at an action. And in fact, it's somewhat difficult to see how we would characterize any human behavior without recourse to something like character traits and dispositions. Is every moment a new occasion for spontaneous choice or rational calculation? Is action at a moment simply the result of unconscious prior stimulation and a little bit of cognition about the current situation? Doris discusses a possible solution to this worry, the theory of "social cognitivism" (76 ff.). I don't know whether the social cognitivists (e.g. Walter Mischel and Yuichi Shoda) succeed in offering a compelling empirical case for their view; but at least it provides a somewhat developed theory of the actor. In any case, it is not a framework that Doris endorses. And that seems to leave his account with a large hole in the middle: we would like to have an answer to the question, how do actors process the situations they encounter and arrive at actions to perform? What is the theory of the actor that is most plausible given a commitment to situationalism? The general idea here is that large changes in social systems of interaction -- roads, railways, telegraph systems, etc. -- often create new opportunities for social actors that were not anticipated by designers but that have large social consequences. I am led to think about these kinds of effects because of the rapidity of system change in China today. The train system, the extension of video surveillance, changes in social security provisions, the ever-growing population of internal migrants -- all these processes are likely to have unexpected and novel consequences. And as complexity theory tells us, systems with multiple interlinked causal processes are vulnerable to abrupt changes of state as causal factors stimulate unexpected behaviors. This is familiar in ecological research, but it seems equally applicable to the social world.